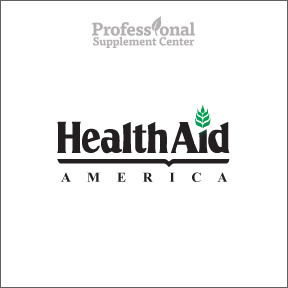 Professional Supplement Center now carries Health Aid America®, a supplement line that includes vitamin, mineral, herbal and nutritional formulas. Launched in the United Kingdom in 1892, Health Aid America® began with a mission to provide high potency, European quality, innovative natural supplements to enhance health. Health Aid America® delivers carefully researched, nutritionally balanced products to supplement the various special and individual dietary needs of children, young persons, athletes and men and women in all stages of life. They remain committed to maintaining an innovative and creative approach to wellness by utilizing the latest research in the field of health and nutrition. 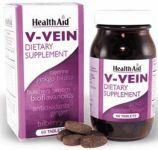 V-Vein™ – This unique supplement is specially formulated with standardized herbal extracts to promote healthy blood circulation, support and strengthen veins and capillaries and aid in circulating clean, oxygenated blood throughout the body. Gluten, soy and dairy free, vegetarian formula. ImmuProbio™ One-A-Day – This room temperature stable, highly potent, multi-strain pre- and probiotic formula contains 50 billion viable microorganisms per capsule in support of immune, gastrointestinal, vaginal and urinary tract health. ImmunoProbio™ contains acid and bile resistant strains ensuring that the microflora are not harmed by natural stomach acids as they travel to the intestines. Gluten, soy, dairy and yeast free formula. 2-Day Detox Plan – This quick and easy detoxification program contains 13 carefully selected herbs specifically formulated to flush away toxins and support the body’s own natural elimination systems. This product helps to cleanse, purify, harmonize and balance the body and is useful after alcohol intake, prolonged stress or poor dietary choices. Gluten, soy, dairy and yeast free, vegetarian formula. 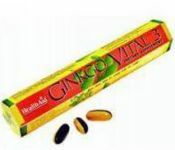 Gingko Vital 3™ – This product contains the highest quality, naturally grown standardized herbal extracts including Ginkgo Biloba, Sibergin® Siberian Eleuthero, and Koregin® Panax Ginseng in support of mental clarity and enhanced physical strength and endurance. Yeast and sugar free. No artificial colors, flavorings or preservative. Non-GMO formulation. This entry was posted in Home and tagged 2-Day Detox Plan, Featured Brand - Health Aid America, Gingko Vital 3, Health Aid America, ImmuProbio™ One-A-Day, Professional Supplement Center, V-Vein, Vitamins and supplements, www.professionalsupplementcenter.com. Bookmark the permalink.